Tuesday, while listening to Facebook’s Mark Zuckerberg’s testimony to Congress, it occurred to me that Facebook could potentially require some level of individual verification that includes the verification of an electronically submitted government document and a geolocation process, like government data or the voter file. While there is value in submitting an electronic copy of a government document, it is unclear as to how effective this process really is – especially without any identity data verification used in the process to confirm the identity of the document owner. Without a secondary verification using a government data source, the “Facebook process” is really half a process. The standards used to verify these users by Facebook employees are not exactly known. Combining this government document element with government data sources, like voter registration and drivers licenses, makes a much more substantive verification. While it is a good first step, this lack of identity data validation makes it easily fooled. Further doing this on its own without a background in compliance leaves little substance in the effort, and why leveraging a political and identity compliance organization like Aristotle may make more sense. Why is that? Aristotle does not believe that the majority of political ads are placed by individuals, but rather political organizations, which leaves a great hole in their verification coverage. That has not been addressed publicly. Aristotle has been a leader in political compliance for over 35 years and understand this space better than anyone. Political ad placement is often the counter product of fundraising, which is why we not only offer a more effective identity verification solution, but also political organization compliance. 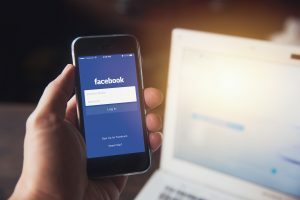 If regulations are enacted, it would behoove Facebook to leave the verification of political individuals and entities to more experienced organizations, who can ensure they are protected, as well as their users.